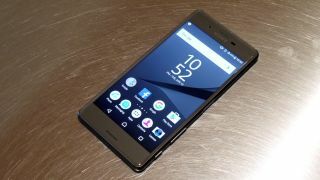 Could the Xperia X2 arrive at CES? Rumor has it Sony will unveil two smartphones at January's massive tech show in Las Vegas, otherwise known as CES 2017, and they could be as dazzlingly as the Strip's neon lights. The unofficial word comes from Weibo, a Chinese microblogging site (via Mobipicker ), where a user with a decent track record of nailing announcements says Sony will launch two Xperia handsets during CES. The person says the smaller of the two will have a 5- or 5.2-inch screen with 1080p resolution, while the larger device will sport a 5.5-inch 4K display. The same phone will also feature 4GB of RAM, the leaker says. Those specs put the bigger phone firmly in high-end territory, though the smaller one sounds like no slouch. While 4GB of RAM isn't too wild in a flagship these days, that Sony *might* go for a 4K screen is an intriguing choice. It already fixed one to the Xperia Z5 Premium, but with 4K content still lagging behind, an ultra high-res display is a standout, though not exactly must-have, feature. Perhaps, as Mobipicker suggests, the firm is preparing a mobile VR headset that could benefit from the pristine pixels of a 4K screen? Launching new smartphones at CES isn't really Sony's bag - that's usually reserved for MWC in February - but a few signs suggest this rumor might pan out. However, as always, we recommend taking it in with a hearty pinch of salt. For starters, Sony just last week registered two new Xperia phones with a Russian regulatory body. The model numbers of the devices are Xperia G3112 and G3121, which GSM Arena suggested means they're mid- to low-end devices, though Sony's naming scheme isn't always a reliable marker of forthcoming phones. The timing lines up as well. Come MWC, the Xperia X will be a year old, and it stands to reason the tech giant will unleash the phone's follow up - otherwise known as the Xperia X2 - around then. Whether it's at CES or MWC remains to be seen. The safe money is on the latter, but Sony may switch things up by announcing a headline-grabbing handset at the world's largest tech show a few weeks earlier. With its CES 2017 press conference scheduled for January 4, we don't have to wait much longer to see what Sony has in store.